This image from NASA's Wide-field Infrared Survey Explorer, or WISE, shows four galaxies in the Virgo cluster: Messier 59, Messier 60, NGC 4647, and NGC 4638. It also shows the tracks of three asteroids, which appear in this image as trails of green dots. 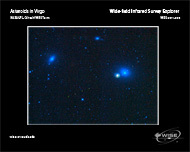 The galaxies in the Virgo cluster contain billions of stars and are 55 million light-years away. The asteroids are members of the Solar System and are only millions of kilometers away (several light-minutes). 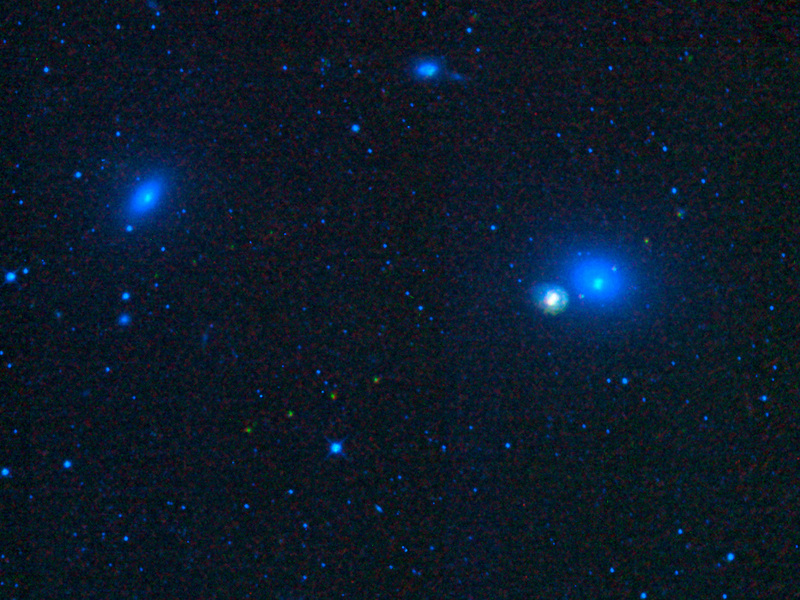 The asteroids are seen as trails of dots because the image was made by combining several observations of this region taken at different times. The asteroids move from one observation to the next, creating the trail effect. 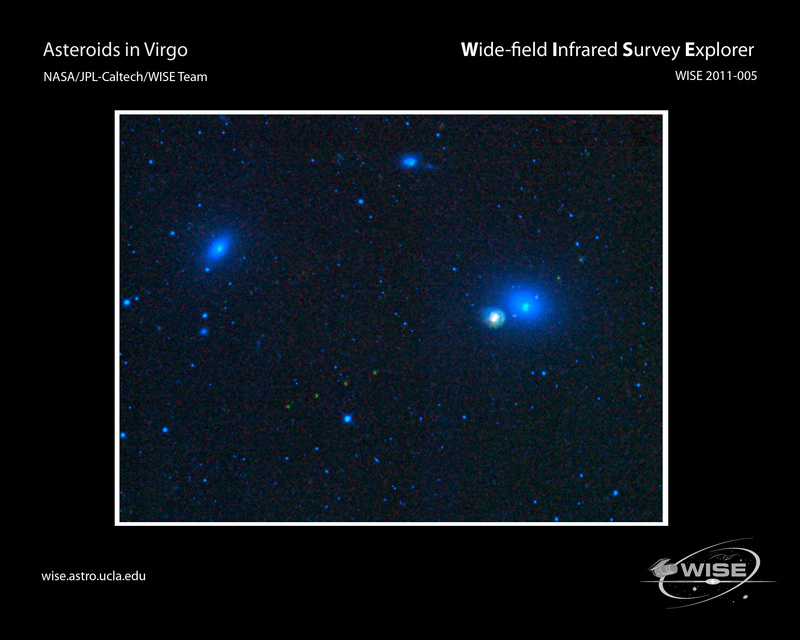 WISE observed infrared light, and the colors here are representational. Blue and cyan (blue-green) represent light with a wavelength of 3.6 and 4.6 microns, respectively, showing mostly hot stars. Green and red represent light of 12 and 22 microns, respectively, showing cooler objects, like asteroids.